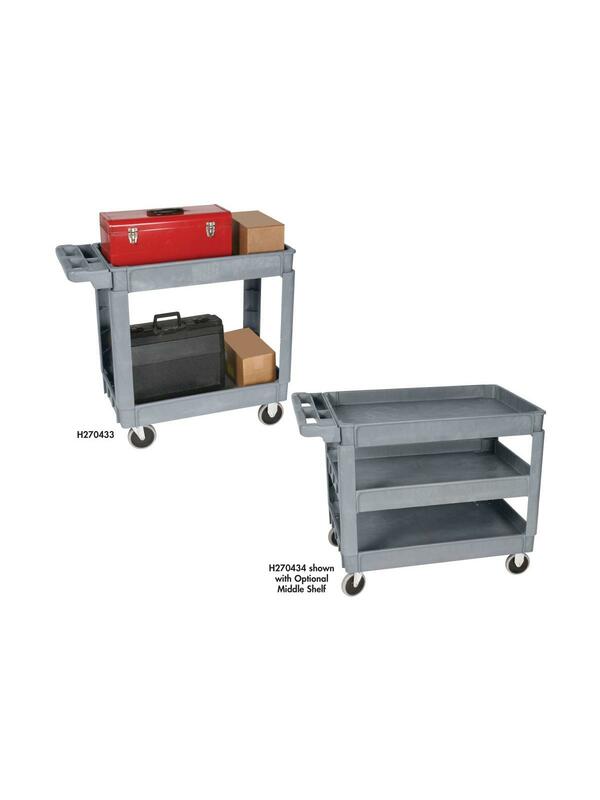 Heavy-duty construction resists chips, dents, and rust. 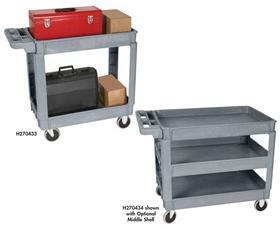 This line of high quality, low priced, polypropylene service carts are available in two sizes with an optional third shelf. 550 lb. capacity. Push handle has compartments to accommodate a variety of tools, labels, small parts and more. Includes 5” non-marking casters. Ships KD in box. FOB Shipping Point.